Brand new for 2017, K2 has introduced a series of boards with Volume Shift design. These boards are shorter and wider bringing a surf feel to snowboarding. The K2 Eighty Seven takes a surf inspired viewpoint to any terrain. The Eighty Seven is created by adding Volume Shift to K2s All Terrain shape with Camber Baseline. The Volume Shift means you can downsize the length of the board. K2 suggest anywhere from 5-7cm. The result is surfy and maneuverable feeling as you sail through the powder and float through the trees and yet on piste the W2 Core, which is made from renewable resources and a layer of Bamboo called the Bambooyah Blend, provides that extra snappy feeling that only bamboo can. The Eighty Seven gains extra grip and responsiveness through the Carbon Web II Construction that takes the carbon out past the contact points of the board, while the Camber between the inserts gives control in the carve. Do not fear the size, go short, loosen up and surf the mountain. Arches upwards in the centre of the board with four contact points near the tip and tail. Camber helps you with turn initiation and powering through carves. It is great for popping ollies but a little bit easier to catch an edge. Great for hard charging down the mountain with maximum power and pop. The Directional boards have a longer nose and a shorter tail, which means they concentrate a lot of pop in the tail and are floaty and stable in powder. You can ride switch on a directional board but it is not as easy as with a twin. You can also get tapered directional boards. The nose is wider than its tail on the tapered directional boards. For riders with larger feet. Size UK 10.5 and bigger. 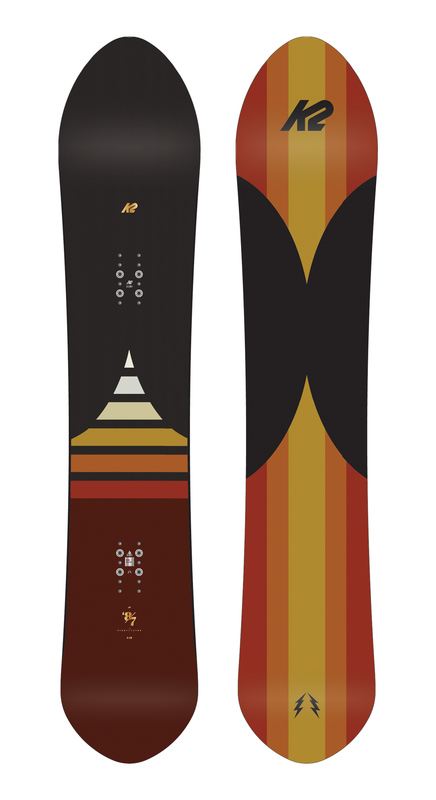 The Topsheet graphic vary and comes in random colour variations.